Over time I have come to consider the intelligent and capable Police Commissioner, Guido Brunetti as one of my most interesting and likable friends who waits for me on the pages of Leon’s books. Brunetti and the ensemble of characters never fail to deliver a satisfying mystery that I find addictive. 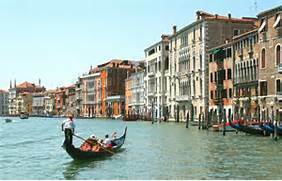 Each case reveals another facet of Venetian life. Brunetti reports to a self-serving Vice-Questore Patta, while inspector Vianello is at his side helping to solve the crimes. There is the all-knowing and well-connected Signorina Elettra, Patta’s secretary, who provides endless information she should or should not be looking into on her computer. Earthly Remains is another well-written mystery. During an interrogation of an entitled, man suspected of giving drugs to a young girl who then died, Brunetti acts rashly, in trying to protect Vianello who is about to act out in anger against the man under interrogation. In the fallout, Brunetti realizes that he needs must get away from the problems of his work. 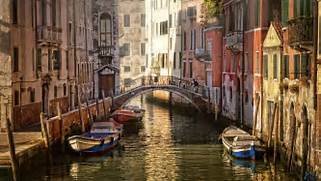 When Brunetti is granted leave from the Questura, his wife, Paola, suggests he stay at the villa of a relative on Sant’Erasmo, one of the largest islands in the laguna. There he intends to pass his time rowing and reading Pliny’s Natural History. The recuperative stay goes according to plan until Davide Casati, the caretaker of the house on Sant’Erasmo, goes missing following a sudden storm. Brunetti feels compelled to investigate and understand what happened to the man who had become his friend. I’ll leave it up to you to discover the rest of the story. 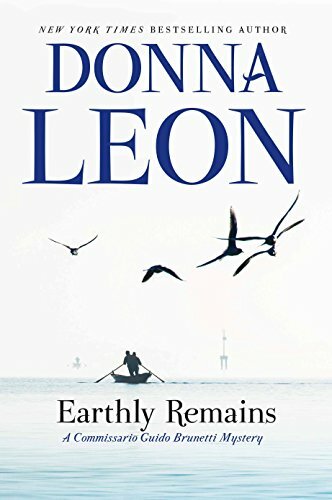 This entry was posted in Book Reviews and tagged Donna Leon Series - Earthly Remains, Mystery Series, Venice. Bookmark the permalink.